She rocketed from obscurity to the US Top Ten, imported from the ancient world by way of midcentury France. Thanks to Jessica for suggesting Chloe as our Baby Name of the Day. She’s mentioned – briefly – by Paul in the New Testament. The Greek goddess Demeter was known as Demeter Chloe. She owes her revival to two movements. Protestant parents found her, a Biblical name not worn by a saint. But there’s a second reason Chloe caught on in the sixteenth century. She was the name of the maiden in “Daphnis and Chloe,” a pastoral romance written by the ancient writer Longus circa the 200s. An English translation was first published in 1587, during the Classical Revival, an era when the educated embraced all things Greco-Roman. 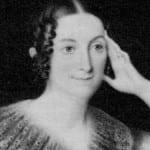 Harriet Beecher Stowe gave the name to Tom’s wife in her 1852 novel, Uncle Tom’s Cabin. It was a historically accurate choice – many slaves were given elaborate Greco-Roman names. Maurice Ravel adopted Longus’ work for a ballet by the same name in 1912. More than one song was called Chloe in the early twentieth century, starting with Al Jolson’s 1920 recording of a song originally written for 1918’s Sinbad. It’s the name of a 1927 jazz standard written for the show Africana, the lament of someone searching for Chloe: If you live, I’ll find you. Duke Ellington’s 1940 instrumental recording is widely known. In the 1940s, writer Boris Vian gave the name to the heroine in his surrealist novel, “L’Ecum des jours.” L‘ecum means scum, but “Froth of the Daydream” is the English translation. The Vian novel usually gets credit for Chloe’s comeback, and Vian was likely inspired by the song. L’Ecum des jours was overlooked during the author’s lifetime, but by the 1960s, it was in vogue, and a film adaptation followed in 1968. 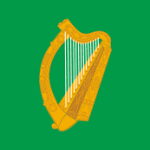 The name gained in France through the 1970s and 80s, spending several years in the French Top Ten, peaking between 2000 and 2001. In the UK, she charted at #1 in the late 1990s and early 2000s. Chloe took a slower road in the US, breaking into the Top Ten in 2008, propelled by characters on soap operas and television shoes, plus actress Chloe Sevingy – her dad in French Canadian – and maybe Khloe Kardashian, too. When you look back at her ascent, it was really quite rapid. She re-entered the US Top 1000 in 1982, hit the Top 500 four years later, cracked the Top 100 in 1998, the Top Ten in 2009, and peaked at #9 in 2009/2010. So this raises the question: Chloe’s roots may be ancient and storied, but does her meteoric rise mean that she’s a Miley? Or is Chloe an Isabelle, a name with a long history of use that happens to be oh-so-popular right now? Let’s call her an Isabelle, or maybe a Cordelia – a name that may hibernate for a few generations, but one that will always be rediscovered. 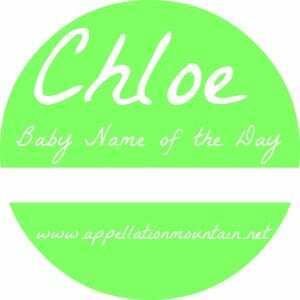 Chloe is a lovely name to say and to see written. In the UK recently, it scored the highest score among both men and women (particularly men) for them to pronounce, for all sorts of reasons. A classy name without being pretentious. I named my cat Chloe 14 years ago. I named her after my mom’s childhood cat Cleo but wanted something slightly different. Now I’ve met many kids named Chloe and I think it’s great. I named a kitten Chloe in 1991 – right in line with the rising trend! I named her “sister” kitten Sadie at the same time (and considered Tess) so I clearly had an eye for up-and-comers. I know only one human Chloe, a freshman in high school. The sound must be popular in my area, though, because I know many Zoes. I think Chloe is the sweeter of the two, but both are charming.